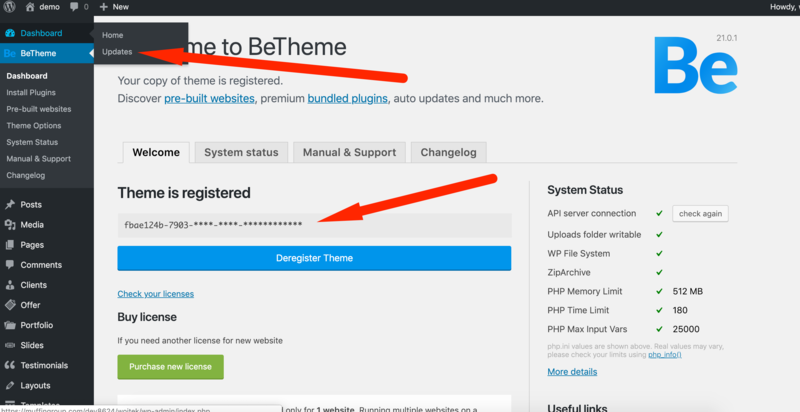 You can update the theme from the dashboard of your WordPress, in the BeTheme tab. Just register the license, and you will be able to update the theme, install newest plugins and import pre-built websites with sliders. For users that have BeTheme version 17.8.8 or lower. Theme updates will not delete your content unless you have changed the files directly in which case we suggest using a child theme. We also recommend creating a backup file. Please remove the theme completely from your theme folder and install a fresh copy. Do not overwrite files.